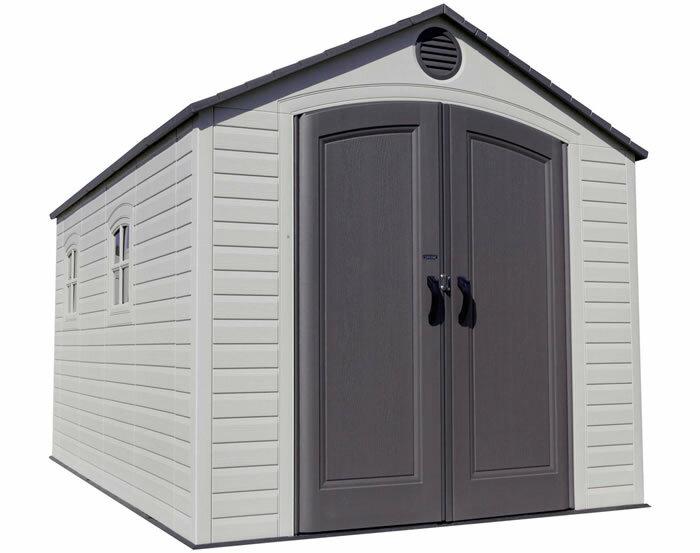 Use our 11x16 Lifetime shed for extra garden storage, garage or home workshop. Steel reinforced, plastic outdoor storage shed! The perfect backyard all-purpose outdoor storage shed! 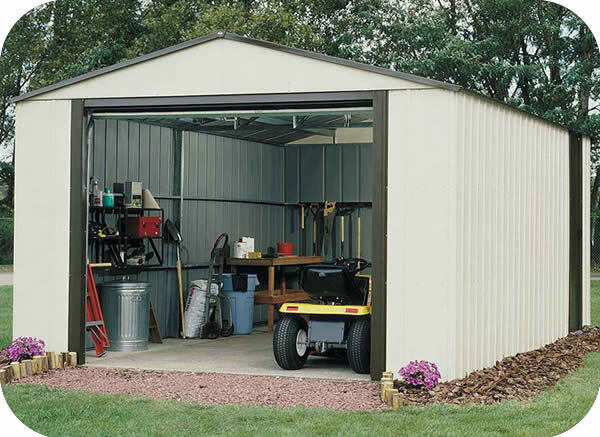 Use as a garage, workshop, or tool storage shed. 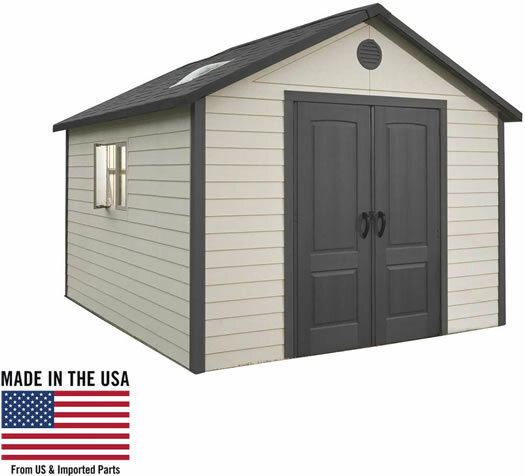 This rugged outdoor building with steel reinforced polyethylene construction is made in the USA and comes with a 10 year limited warranty! The exterior features 1 inch thick polyethylene plastic walls that are steel reinforced and dent resistant as well as a simulated shingle roof with two skylights that allow natural light in. Two shatter resistant double windows open, latch, and lock. 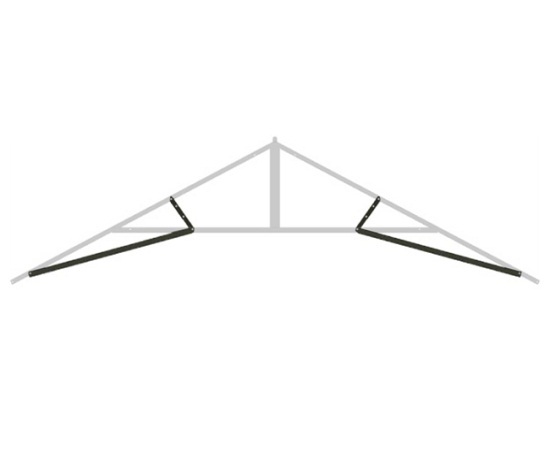 Steel supports and trusses have a weather resistant, powder coated finish and provide roof strength, durability, and additional storage. 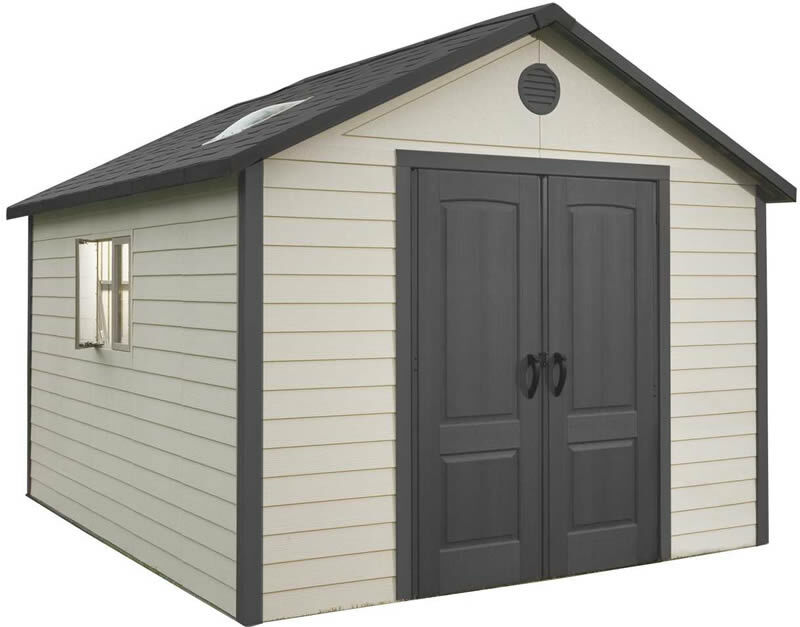 This shed comes with a high impact polyethylene plastic floor made from rigorous materials designed to be shock resistant and easily maintained. The floor is resistant to oil, solvents and stains and features a slip-resistant surface. The securely fastened anchoring bracket assembly ensures stability and durability from the elements. 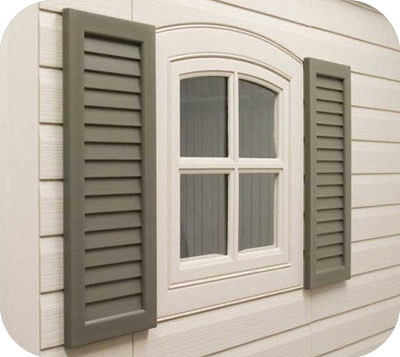 The polyethylene exterior is maintenance free, stain resistant, never needs painting, UV protected to prevent fading and cracking, and weather resistant keeping the interior dry year round. The steep sloped roof allows for 7.5 feet of interior head room and quick drainage of rain and snow. Doors are lockable, feature an internal latching mechanism as well as a full-length steel hinge system (57.5" wide x 77.3" tall opening). Two screened vents provide airflow throughout your shed while keeping pests out. Natural colors allow this building to easily complement and match virtually any surroundings. 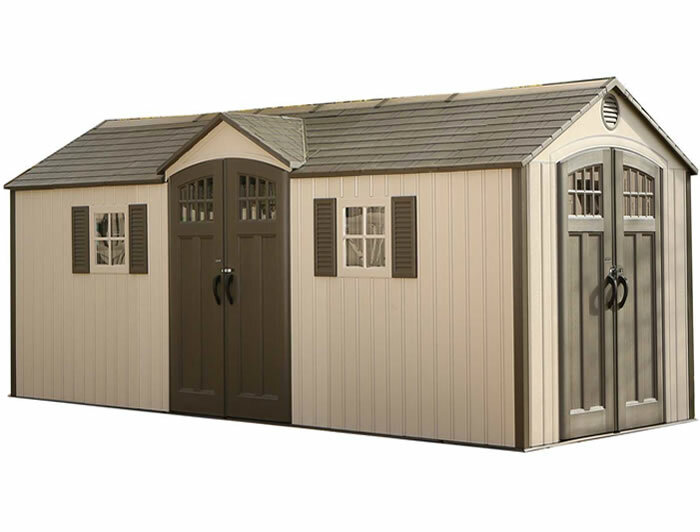 Note: this shed is one model 6415 base unit with one 0125 extension kit, making it an 11x16 size. This is a great product. Highly recommend it for those who n ..